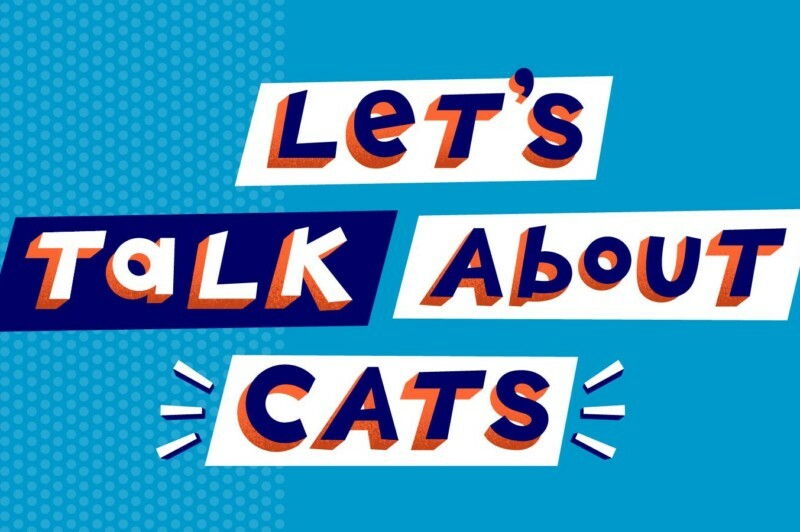 Noted cat lady Mary Phillips-Sandy hosts an IRL edition of Let’s Talk About Cats, the show where smart, funny people talk about their cats: from belly scratches to the bonds that change our lives. Come out for this live podcast taping featuring special guests Carmen Lagala (Late Show with Stephen Colbert, All Female Reboot) and Muna Mire (Desus & Mero, GQ), with music and sparkling banter from Leslie Goshko (Sideshow Goshko). We’ll also have All Cats Considered, an exclusive report on the cats of New York Public Radio…with charts! PLUS: One lucky audience member will join our guests for a very special Cat Quiz (as always, there’s a prize at stake). The Hot Topic debate, in which we settle a divisive feline-related issue once and for all. Famous cat owners vs. famous non-cat owners. Shout-outs for cats listening at home. And more! PLEASE NOTE: Because of “laws” and “stuff,” actual cats are not allowed inside The Greene Space. Thank you for your cooperation.